Musawah works in four key areas: knowledge building, capacity building, international advocacy, and communications and outreach. 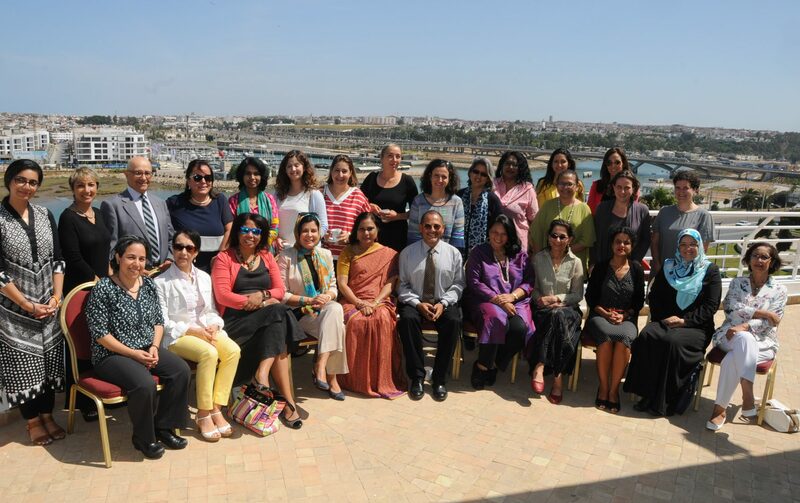 Musawah serves to strengthen Muslim women’s voices at the regional and international levels. Musawah works to raise the visibility of initiatives that advocate equality and justice in the Muslim family. 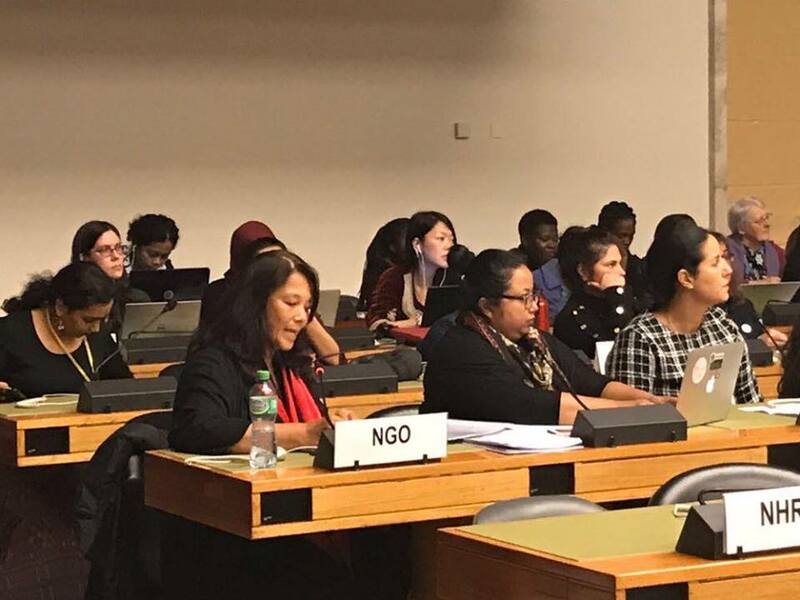 A key strategy is engagement with the Convention on the Elimination of All Forms of Discrimination against Women (CEDAW) and its treaty body, the Committee on the Elimination of Discrimination against Women (CEDAW Committee), and with NGOs involved in the CEDAW reporting process. 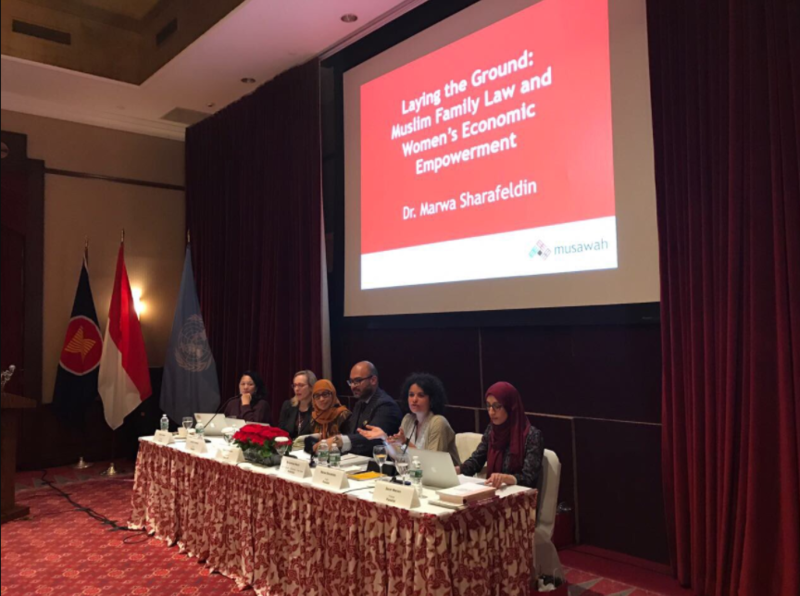 Introduce the Musawah Framework to women’s human rights NGOs and activists who are involved in preparing CEDAW shadow reports and are engaging with CEDAW Committee members on key issues related to Islam and women’s rights in their countries. Support national-level organisations and activists working on issues pertaining to Muslim women’s rights to engage with the CEDAW reporting process either through preparing independent or joint thematic reports on Article 16 (on Marriage and Family), preparing lobby interventions during their countries’ CEDAW Review, and strategising post-CEDAW initiatives to push for reform of discriminatory personal status laws and/or practices. Engage with CEDAW Committee members on the Musawah Framework and submit thematic reports on Article 16 for reporting States Parties where shadow reports have not been submitted or where they are silent on Muslim family laws and practices. Promote perspectives derived from the Musawah Framework and analyses to the United Nations Office of the High Commissioner for Human Rights (OHCHR), United Nations treaty bodies and special mechanisms, and international, regional, and national NGOs involved in international advocacy. Assess possibly entry points for advocacy in relation to regional and international bodies and mechanisms such as the Organisation of Islamic Cooperation, Arab League, African Union, Universal Periodic Review, and different United Nations special mechanisms.